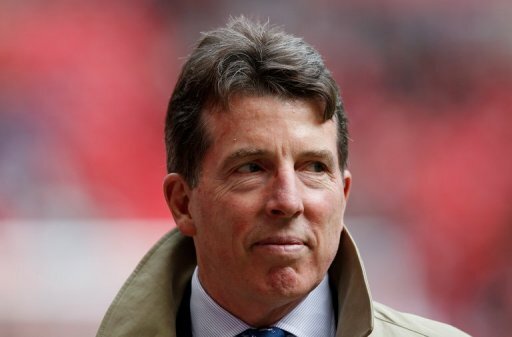 A lot of people are accusing Barclays Bank and its chief executive Bob Diamond of racketeering. Acting like white-collar gangsters, in other words. They say the bank and its principal directors colluded in serial distortion of the interbank rate, Libor. What this means in plain English is that they beggared us – the saps who are their customers – with artificially inflated interest rates on loans and mortgages – in order to enrich first themselves, through bigger bonuses, and then their shareholders, through bigger dividends. Barclays has been fined a total of £290m by the regulatory authorities on both sides of the Atlantic. But it’s the thin edge of a very thick financial wedge. Once the lawyers get weaving on behalf of aggrieved customers, who knows where the liability will end up? Martin Taylor, a former Barclays CEO himself, summed it up best on this morning’s Today Programme. He said that Barclays had engaged in “systematic dishonesty” between the years 2005 and 2009. While he didn’t explicitly link Diamond – who then happened to be head of BarCap, the division most closely tied to the scandal – with the gigantic swindle, he did say that chief executives set the cultural tone of the businesses they run. Implication: Diamond should retire to the discreetest room in his penthouse suite and make good use of a service revolver. Diamond – Taylor implied – may, or may not, have colluded in such corrupt dealing practices; but because they happened on his watch, he was at very least grossly negligent. Now I know what I’m about to say isn’t going to be popular, but I’ll say it all the same. Was Bob so very wrong in what he did – or rather, for the sake of any legal eagles looking in – er, what he didn’t do? I mean, at least Barclays Bank co-operated with the investigative authorities, whereas other banks did not. Barclays is paying the price of being first to fess up: a media Exocet amidships. I’m not sure the same will be said of RBS and Lloyds. Both were big recipients of taxpayers’ bail-outs, and both – along with HSBC, Citigroup, JP Morgan, UBS, Deutsche Bank and others I probably don’t even know of yet – are, so it seems, up to their gills in interest-rate-rigging mire too. Poor old RBS. Talk about reputational damage: it’s not only guilty of systemic incompetence with customers’ direct debits, but of “systematic dishonesty” in charging them higher interest rates as well. Will this publicly-owned company owned by the public ever recover? But I digress. Bob’s is the head that everyone wants to stick on a pike over Tower Gate. That’s because everything about Bob is Big and Boastful. Biggest salary, biggest bonus, biggest ego. He is, in short, the archetypal arrogant, swaggering, fat cat. Sometimes, you see, advertising really can convey complex, uncomfortable, inner truths – without the client even noticing. Bob did, of course. He’s been a part of Barclays’ cultural furniture since 1996. He took the message very seriously indeed and acted out the part. What a brand martyr the man is!